Looking through old pix, I found this among my family photos. 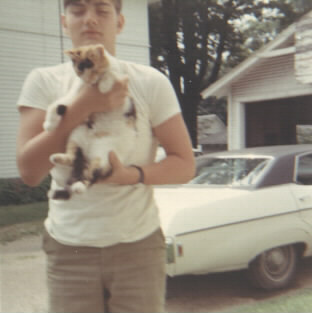 This is me, c. 1967 or '68, with my longtime kitty companion, Maynard. Pets are important, and some are very special, indeed.